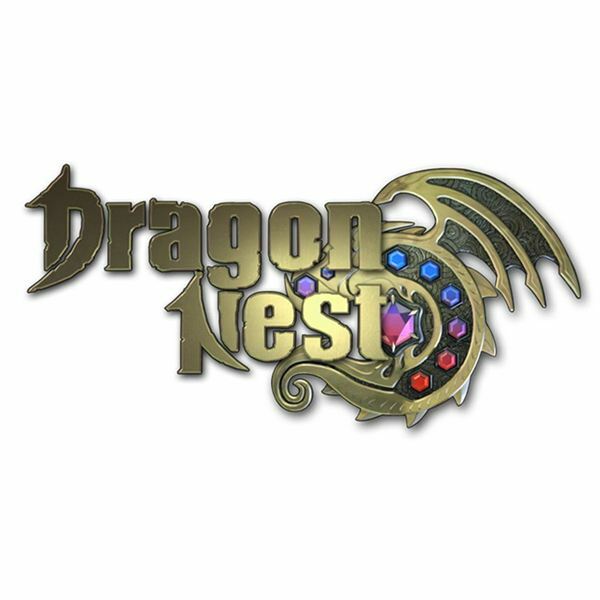 Dragon Nest is the newest game published by Nexon of America, the team responsible forr Combat Arms, Maplestory, Vindictus, Mabinogi, and Dungeon Fighter Online. With an excellent track record of bringing many fine MMOs to American audiences, a new game from Nexon is worth checking out. 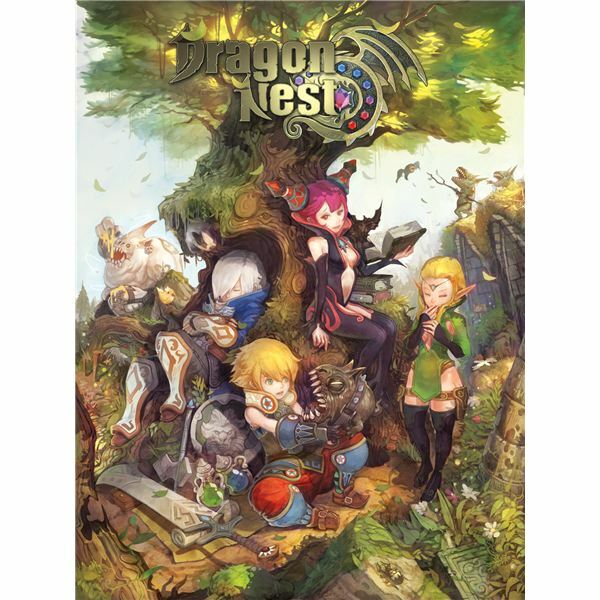 Dragon Nest is no exception and proves to be quite the entertaining game. In Open Beta until the 9th of August, the game will then immediately go into full release. When you start making a character in Dragon Nest, classes are the most important factor. You can pick one of four basic classes. These classes are Archer, Warrior, Cleric, and Sorceress. The classes are gender-locked; Archers and Sorceresses are female, while Clerics and Warriors are male. Once you reach level 15, you can advance to one of two subclasses. In certain other versions of the game, there are a third tier of subclasses, but they are not yet available in the North American version. At level 45, each of the subclasses has a further specialization they can make. You can find more on that in each class section below. This guide is a general overview of each class and subclass, with hints to their playstyles. It's meant to help you choose which class you want to play. Every class, however, is fun and has much to offer. They play differently but they can all hold their own if you know what you're doing. Give each one a try and see if you like it. You can even hook up a controller and play like it was on a console. There's also a fifth main class being released in Korea, which NA will see eventually; the Alchemist. Little is known about it, however, so a section won't be dedicated to it until it has been released. 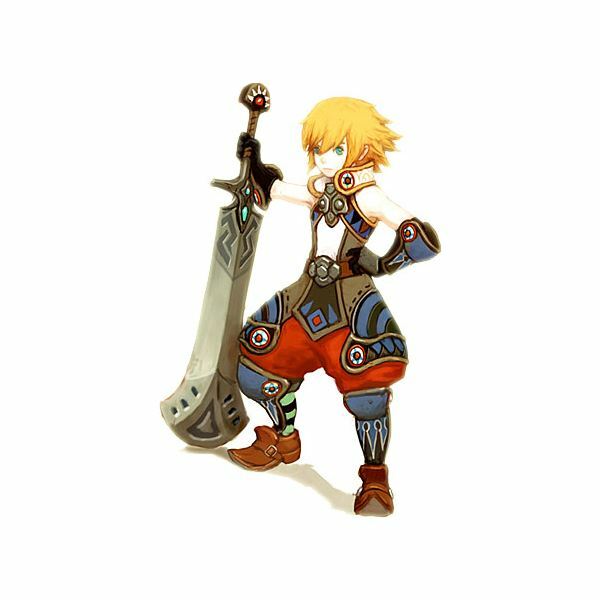 First of the Dragon Nest classes is the warrior. Warriors are a melee class relying on fast hits and combos to deal their damage. They can tank, and they can dish out the damage. They are surprisingly fast and agile even though they have decent defenses and HP. It's always better to dash out of the way of enemy attacks and hit them while they're recovering. Main Weapons: Greatsword, Axe, Hammer. Greatswords are the fastest of the three warrior weapons. Axes are slower but have a wide-area regular hit combo, allowing them to dish out damage to more enemies at ones. Hammers are the slowest of the three but the most powerful. Swordsmen specialize in greatswords. The faster weapon allows them to create long combos and juggle enemies to death without letting them get a hit in. At level 45 they can subclass again. The two options are a MoonLord or a Gladiator (names may change between now and release.) One of them specializes in single-enemy damage, while the other focuses on dealing less damage, but to more enemies at a time, with wider area attacks. Mercenaries specialize in axes or hammers, which one is up to the player. They're slower than Swordsmen, and they deal less damage. They make up for it, however, by being the most heavily armored class in the game. They make ferocious tanks, able to keep the enemy focused on them. At level 45 they can subclass into either a Barbarian or a Destroyer. Again, the names may change. The third subclass, not yet released, is the Avenger. Nothing is known about them beyond that they subclass again into either a Dark Knight, or an Abyss Walker. 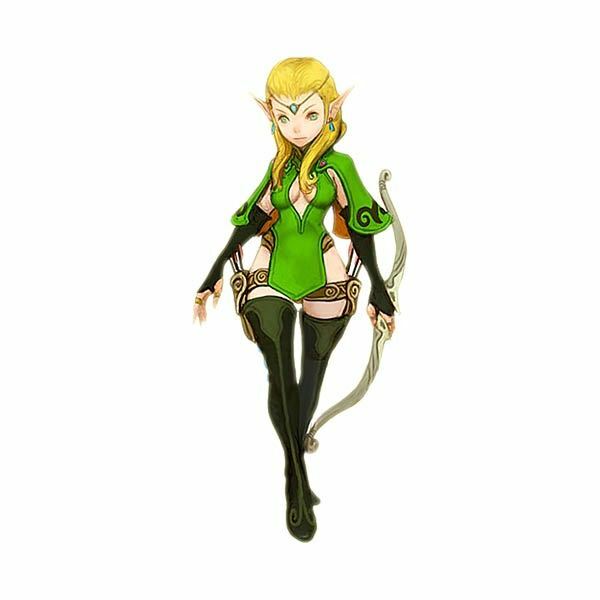 Second of the Dragon Nest classes is the Archer. Archers are a ranged class that uses various forms of bows and crossbows to deal damage from afar. If monsters get too close, they have a variety of kicking skills available to drive enemies back and beat a hasty retreat. They have excellent speed and agility to keep in just the right range. Shortbows have a short range and a constant fire rate. Longbows have a longer range but a slower fire rate than shortbows. Crossbows shoot the fastest of all, three shots at a time, then they have to pause to load more. Note that loading doesn't make you stop moving, and you don't stop loading if you get hit; it's just a brief delay. Sharpshooters specialize in short or longbows. They keep as far away from enemies as they can, and have an arsenal of devastating attacks that can focus down a single enemy, or deal damage to a vast area. No class in the game can deal more damage at range than they can, but if they get surrounded they can die in a heartbeat. At level 45 they can advance into either a Sniper or an Artillery. Acrobats use crossbows, but mostly sacrifice their ranged abilities in favor of melee. They are really fast, really agile, running and jumping around using ridiculous kicks and short range bow attacks to deal damage all around them. They may not have a lot of armor, but they can run rings around any monster. At level 45 they can advance into a Shooting Star or a Soul Breaker, though those names are not official. The third subclass, not yet released, is the Hunter. Nothing is known about them beyond that they subclass again into either a Ranger or a Detonation. Third of the Dragon Nest classes is the Cleric. Clerics are the holy avengers of justice and the Goddess. They work equally well with close-up melee attacks and kicks or at a range with holy lightning and relics that sit in place and radiate effects. They're the closest thing to healers the game has, and their buffs are wonderful. They're tough and heavily armored, and while they don't deal exceptional damage, they're welcome in any party. Maces are the basic spiked ball on a stick that Clerics use to hit things. Flails are similar but have chain connecting the stick to the ball. Flails have a bit different combo, and which you use is preference. Wands are entirely different, with bolts of lightning for the first and last hits of the combo. They do magic damage, so be sure to stack up your Intellect rather than your strength. Paladins focus on either Maces or Flails. The choice depends entirely on personal preferences. They get right in with the physical hits and close range magic, and have a variety of spells to keep themselves and others alive. They make excellent tanks and can dish out the damage as well as take it. Their only weakness is a low amount of mana, making them prone to running out in mid-dungeon. At level 45 they can turn into a Crusader or a Temple Knight. Priests use Wands and specialize in healing, buffs, and wide area effects. Of particular interest is their ability to drop Relics, which are stationary towers that radiate some effect. Relics include the ability to shoot lightning, a healing relic, a relic that binds enemies in place, and others. Priests make excellent crowd control. At 45 they can advance into an Inquisitor or a Saint. The third subclass, not yet released, is the Monk. Nothing is known about them beyond that they subclass again into either an Impulse or a Champion. Fourth of the Dragon Nest classes is the Sorceress. Sorcs are a ranged mage class that use the powers of magic to do nearly anything their minds could desire. They can spew fire and ice, teleport, or even harness the power of gravity to spawn small black holes or even stop time. With range and damage lower than that of the Archer, they make up for it by being able to freeze, ignite, poison, and inflict other status effects to enemies. All sorceresses use the same main weapon; a staff. What sort of mage would they be without a staff? To make up for the lack of variety, they have different subweapons, each with it's own effect. Grimoires are the best Int boost, but have the worst close range attack. Dolls are middle of the range, and summon a small black demon to attack when used. Orbs spin around you for a multi-hit melee attack. Which one you use is entirely up to you. Elementalists use the powers of ice and fire exclusively, letting the gravity-based powers fall aside. They can lay on the hurt with elemental criticals, but if facing a monster that matches their element, they fall short in terms of damage. They make for good crowd control and their status effects are powerful. Their weakness is the long cooldowns on their skills; if you focus on just one element, your damage will be amazing, but in short bursts. At level 45 they can advance again into either a Pandemonium or a Deity. Mystics use the powers of gravity to gather their foes into one place, lay on the damage, and freeze enemies on the spot to help their party destroy them. They have powerful skills, but they lack the elemental affinities and criticals that elementalists get. They can gather enemies together or fling them away from a trapped ally. At 45 they can subclass into either a Majesty or a Time Stopper. The third subclass, not yet released, is the Warlock. Nothing is known about them beyond that they subclass again into either a Mistress or an Illusionist. oming to Dragon Nest in Korea, which NA will no doubt get eventually, is the Alchemist. Nothing much is known about them yet due to the small amount of translated information making its way here, but the videos are exciting. They appear to have a dedicated pet with them and have the ability to make various bombs and transformations for their pet. How they will play, how they will fight, and what their subclasses are remain to be seen. Hopefully after reading this article you're able to make a choice of class to play. Remember, you're not limited to just one character; if you pick one and don't like it, feel free to change. Just stick with any character you make until level 15 to gain the subclasses. It all becomes much more fun when you get those new skills to play with. Don't worry about messing up your SP build before 15. Once you advance, you get a full SP reset to respec the way you want to. 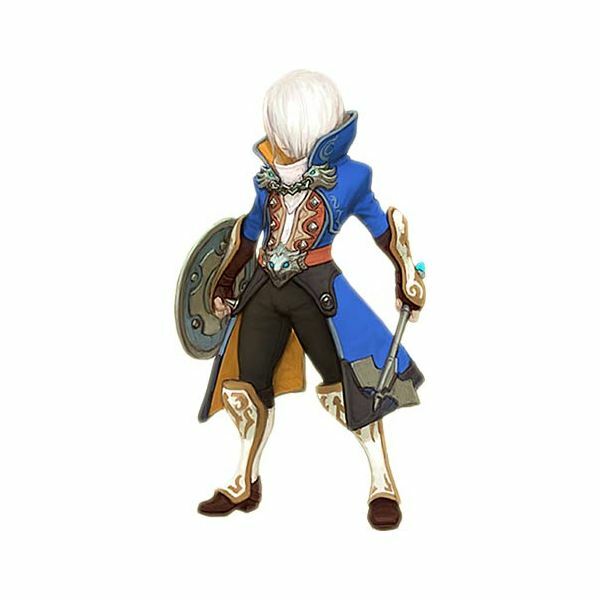 Future class names and information from MyDragonNest.com. Images from Nexon.net’s official site. Class information from the Dragon Nest official website on Nexon.net. Opinions and other information from Author’s Experience.